Rural Development Foundation is a voluntary organization. It continues to support and give high quality education to underprivileged children of rural India. RDF supports four schools and one Junior college in two districts of Telengana. Due to the selfless efforts of RDF, the schools together have more than 1700 students enrolled in them. RDF provides note books, text books, 2 uniforms and midday meal to the students. Also it supports Alumni by providing financial help in their further studies and training. Youth for Seva has given its helping hand to RDF. YfS has donated school bags to the students. Each bag contained note books, pens, water bottle, stickers, dictionary, etc., we encourage students and Parents to motivate others and lend their support to help each other to make a better future. We convey our heartfelt thanks to Youth for Seva for their generous donation. RDF Kalleda School students motivated villagers about awareness on seasonal diseases. High School students went to the Primary Health Centre in Parvathagiri and gathered information on seasonal diseases and prevention from P.H.C doctors. Then the students conducted a meeting in school and discussed their experiences with the doctors. 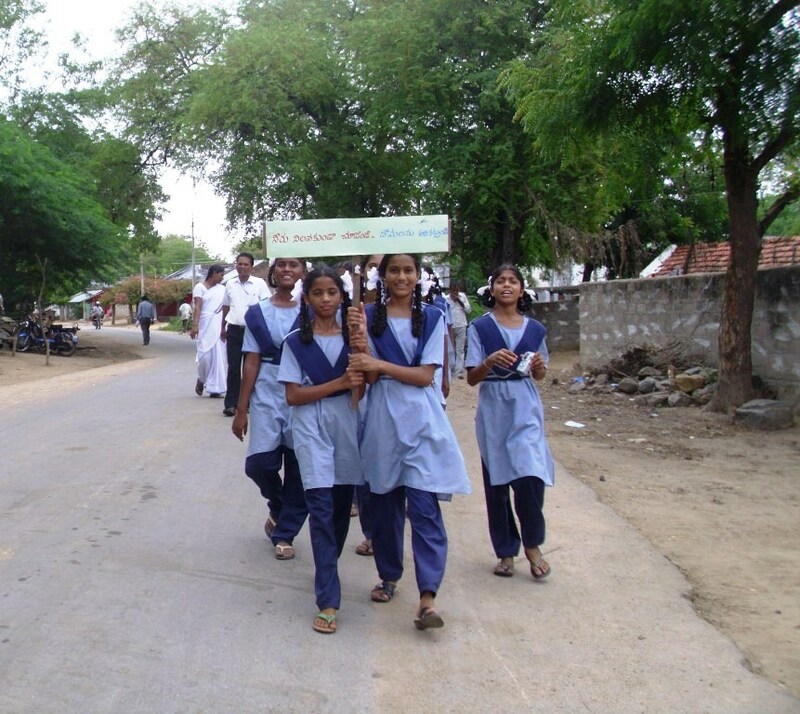 Thereafter, the students conducted a rally to make villagers aware about seasonal diseases. Together, they cleaned streets and dirty areas – an effort appreciated by the community.